Technically you can make a body scrub just by mixing sugar or old coffee grains with olive oil, but where’s the fun in that? 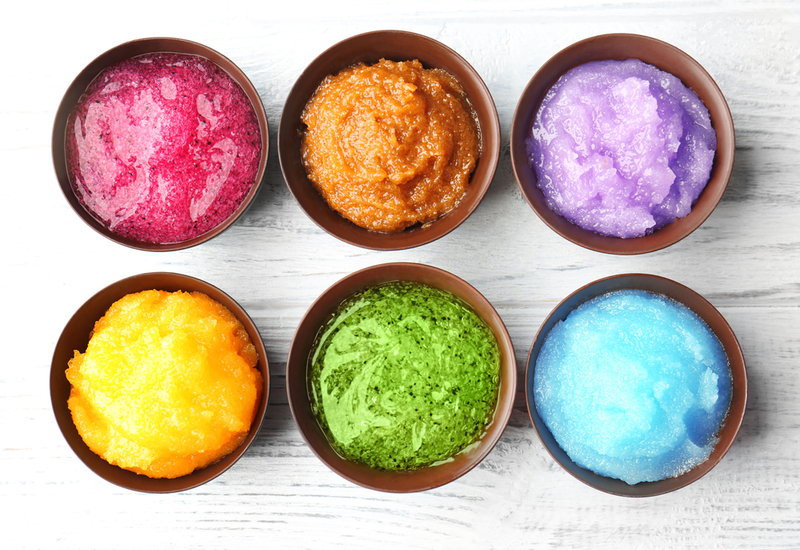 The best body scrubs don’t just get rid of rough skin, they give happy vibes. They smell good. They look pretty. They make us feel like a princess even at the end of a very long, tiring week. 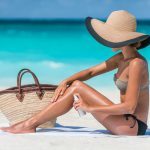 Try these best body scrubs and get ready for smoother skin and instant luxury. It smells like Christmas! 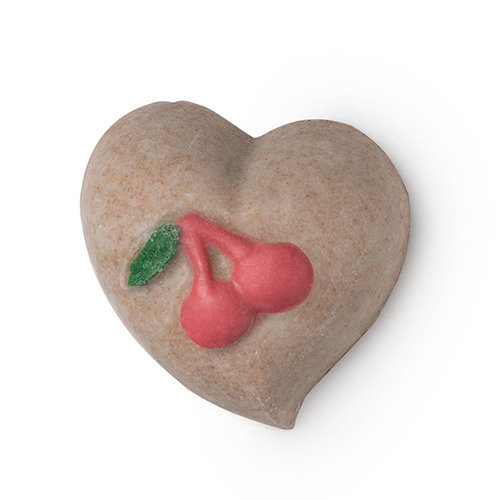 The sugar and cranberry seed oil exfoliate, moisturize, and smell like a lovely holiday dessert. There’s also a hint of creamy vanilla and white flowers. While this may seem like a lot of heavy scents, but by the time you towel-dry, you just get a hint of a warm-fruity-festive fragrance. This is almost too cute to use. But oooooh, it feels so good on the skin. It’s made of organic cocoa butter and fine sea salt. As you rub it over your skin, the ground cherry stones boost blood circulation and massage aching muscles. Sweet almond essential oil and cocoa absolute moisturize your skin. Yes, you read that: cocoa. This body exfoliating scrub also smells like chocolate. We’re in love. If you’ve had a really long day – your head hurts, your body hurts, you just hate the whole world – this body scrub is your best friend. 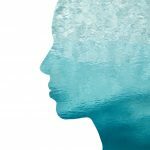 The burst of peppermint will help clear your head and feels so fresh too!. And since it’s oil-based, it’s the best body scrub for really dry skin. 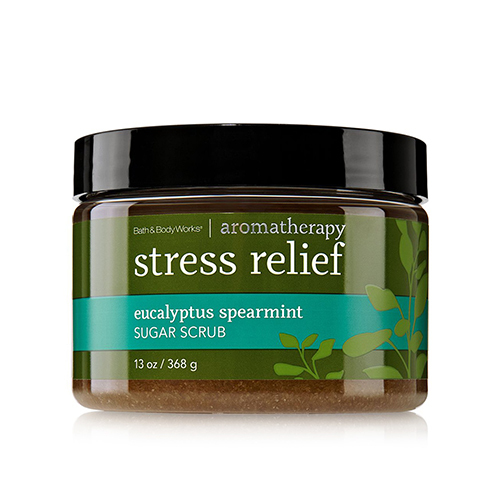 Scrub all your stress away! 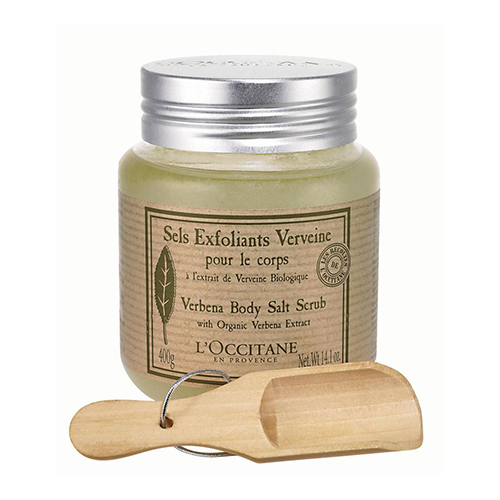 L’Occitane’s Verbena scent is meant to transport you to the French countryside. “When baskets are piled high with freshly harvested green verbena leaves, its distinctive fragrance fills the air around the markets of Provence,” explains the L’Occitane website. Close your eyes and inhale this herbal, light-citrusy scent, and escape to Europe whenever you take a shower.